For over 35 years, RestorationMaster has restored the lives of numerous affected individuals from natural disasters in Salem, OR and the surrounding areas. We specialize in emergency disaster restoration; whether it be a commercial or residential setting, you can depend on us to be there for you when you need it most. We are located in Salem, OR and provide timely service for the surrounding areas including the communities of Marion, Polk, Linn, Benton, and Lincoln counties. Our technicians are available 24/7/365 to handle all losses. We will always provide free damage inspections and we pride ourselves on our exceptional customer service. We are never given any warning when a fire starts. Sometimes we are lucky enough to find it before it causes considerable damage; however, in other cases, it has already destroyed the majority of the home. RestorationMaster understands the catastrophic effects a fire can cause to a building. However, we urge you to call us right away after everyone has been safely escorted out of the building. 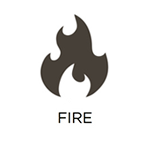 As the flames consume the building materials and furnishings in your home, they cause detrimental damage. However, it may not be too late. When called immediately, our technicians have the experience and equipment necessary to save your home or building and belongings from becoming lost forever. 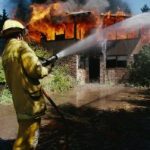 Our fire damage restoration services are available in Salem, OR and the surrounding communities. Call us as soon as possible at 888-915-8868. There is only so much we can do to prevent natural disasters. Preventing a flood in your home is one example as flooding can be caused by the following sources: heavy rain, leaking plumbing or appliances, drain backups, and humid conditions. This is not only a messy job to clean, but the effects of water damage can be severe as they easily destroy cherished items within your home, not to mention the structural damage caused to your home and floors as some materials are porous. 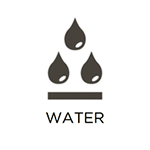 RestorationMaster has advanced equipment and products to safely extract the water from the home, dehumidify the affected areas and materials, and prevent excessive water damage to your personal items. Whether facing the after-effects of water, fire, or mold damage, personal items can become permanently ruined if not treated right away. This may even seem overwhelming if the majority of your belongings have been affected by the natural disaster. However, RestorationMaster provides safe, effective content cleaning and pack out services in Salem, OR and the surrounding communities. Our technicians undergo frequent training while using the latest techniques and equipment to restore your belongings to their original condition. However, if the condition of the home does not allow us to restore your content on-site, we use our pack out services to safely deliver your belongings to our secure facility for proper cleaning and storage. Here, they will be stored until the restoration process on your home is finished. 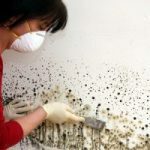 While mold most commonly grows in places including basements, attics, or behind walls, it can also appear in the most unexpected places. This is due to its ability to release its spores, allowing the growth to travel to new areas throughout the building. While it only requires moisture and a porous material, such as wood or drywall, to thrive, it can grow anywhere. Mold not only causes damage to your house, the effects it can have on your family’s health are also severe. As soon as you encounter or suspect mold growth in your home, call RestorationMaster right away. Our technicians can inspect, remove, and prevent mold growth in Salem, OR and the surrounding communities. 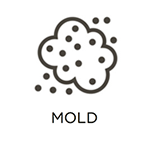 With us, you can ensure that both you and your family are safe from uninvited mold spores growing in your home. The effects of a natural disaster can be devastating and can leave a home or building vulnerable to crashing down at any moment. In these situations, emergency reconstruction services are needed right away. This can avoid severe damage that will require completely rebuilding the home or building in the future, leading to further jaw-dropping costs. RestorationMaster guarantees a quick response, arriving on-site to quickly repair the home or building to its original condition. 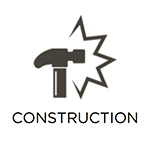 Call us right away at 888-915-8868 for fast, efficient reconstruction services. 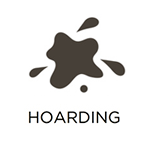 As recent studies have inquired more information on the hoarding disorder, RestorationMaster has developed advanced methods in order to provide more efficient cleaning services. We have recognized the importance of developing a strong relationship with the individual in order to provide high quality services. While putting them in charge of deciding which items to throw away and keep, we will work side-by-side with the individual to rid the home of all hoarded items. After they have been disposed of properly, we will then use powerful deodorizers to eliminate any lingering odors. Our effective cleaning products will then sanitize all affected furnishings and building materials, ultimately restoring the property to a safe living environment once again. 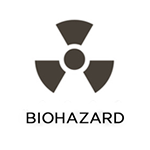 There is no experience more traumatizing than discovering biohazards. 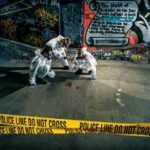 However, it is imperative to know what to do in order ensure that all evidence is collected and the scene is restored efficiently and effectively. As the scene will contain hazardous byproducts, including blood, tissue, and other bodily fluids, avoid all contact. Make sure to call licensed cleaning professionals immediately after law enforcement to disinfect the scene. The technicians at RestorationMaster have years of experience in cleaning trauma scenes. Our effective cleaning products will guarantee the restoration of the environment in addition to working with respect and compassion towards the affected family. Nobody likes to smell foul odors when entering a home or building. But you must also be careful as you may never know what kind of substances may linger within these unpleasant smells. For some individuals, this is how diseases and infections are introduced: through inhaling harmful pathogens and bacteria. As soon as you notice an unpleasant smell in your home, it is important to call a professional pathogen and odor control company in order to effectively remove all threatening substances in the air as well as on any building materials. RestorationMaster applies a new, eco-friendly chemical, ClO2, in order to wipe out all harmful odors and pathogens on the property. With this product, our technicians will effectively clean and restore your home or building to a safe, healthy living condition once again. For all emergency disaster restorations and cleaning services, we are available 24/7 at 888-915-8868 in the Salem, OR 78745 area.